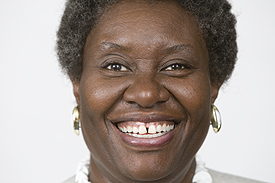 Photo of Etta Caver courtesy of University of Cincinnati. Cheers to the Middletown Record in Ohio for their profile of Etta Caver, a former domestic violence victim who turned her life around and is now helping others. Caver was beaten by her husband and continued to enter abusive relationships after divorcing him. After a particularly brutal beating at the hands of a boyfriend Caver reassessed her life, left her job at AK Steel and eventually gained a masters in social work from the University of Cincinnati. She now works for the Butler County Sheriff’s Office offering domestic violence victim assistance at courts and teaching victims’ awareness classes. She is also an ordained minister. “”She is a miracle and she makes sure other people have miracles in their lives,” her sister Kimberly said. Social workers often help victims of domestic violence. One of the leading experts on this issue is NASW member Katherine van Wormer, MSSW, PhD. To read some of van Wormers articles on this issue click here to visit her page at NASW’s “Help Starts Here” Web site. Cheers Ms. Etta, I’m glad you were able to have some positive results out of the situations which previously captivated you. As a Behavioral Healthcare Provider, I listen to lots of consumers discuss their trials and tribulations, which is part of the healing process, but furthermore integrating positive change in one’s life is very healing! 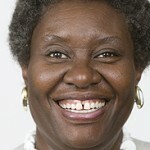 Ms. Etta, I’m glad you’re able to use your experience and expertise to help other victims of domestic violence, etc!